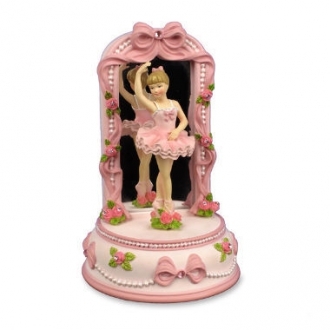 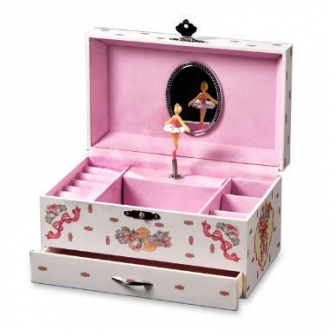 A jewelry box adorned with bows and roses, this music box has a rotating ballerina inside. 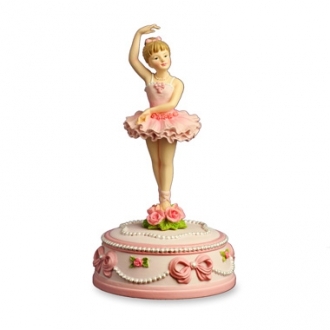 Tune: "Dance Ballerina Dance," Twirling ballerina, 4"H, 18 note movement. 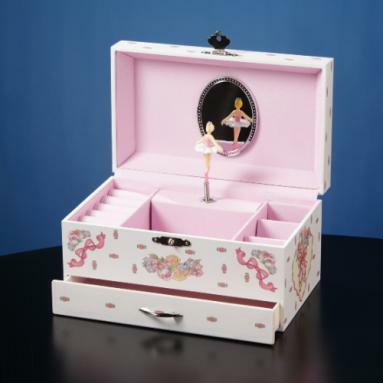 Ballerina jewelry box, with twirling dancer inside and featuring ring and watch compartments with pull out drawer. 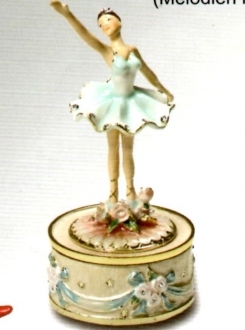 Tune, Dance Ballerina Dance, 4 inches high. 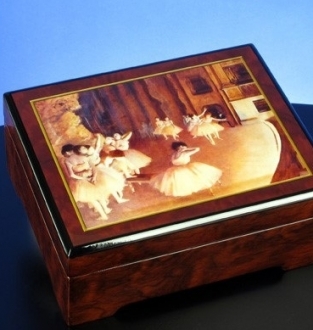 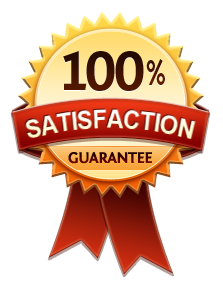 San Francisco Music Box Company products have the highest standards for quality and detail. 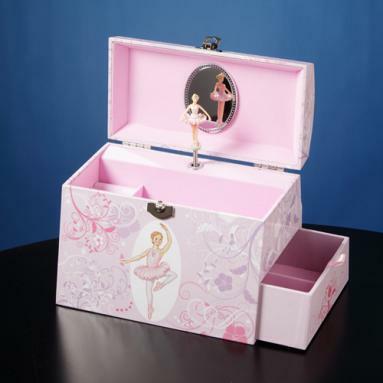 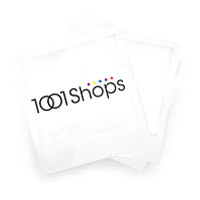 Our specially-designed items are perfect for any gift-giving occasion and they are the ideal self-purchase.